To say that accountants are overwhelmed with their tasks is an understatement. Hence, to make these responsibilities more bite-sized, we come up with to do lists. But have you had that realization that your lists do not seem to end no matter how much you tick items off it? That’s probably because you have been these things. 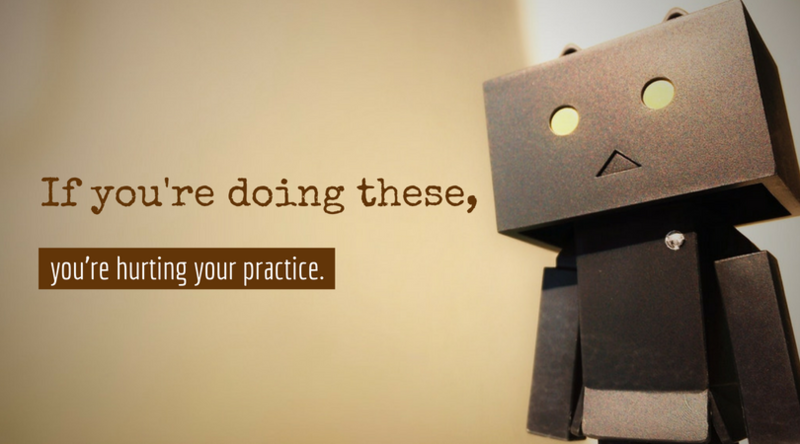 And if you do, it only means you’re doing your practice wrong. Previously, we mentioned that adding value to your business through free advice is one of the best ways to get more clients. So are we changing our minds? What we’re against is putting so much effort into “adding value to your business” for free that your time actually suffers. How many times have you talked to a “client” for hours on end without getting even a single cent? It feels good, probably, to be able to help someone in need. But admit it, your schedule for the entire day is significantly affected, isn’t it? Sadly, the schedule affected is dedicated to clients who actually pay. And imagine what would happen if more than one asked for free advice in a day! Determine the amount of time in a day you can dedicate to the free consultation. Let these clients know that only a certain number of minutes may be dedicated to free consultation. Post a notice somewhere conspicuous in your office or for phone calls, let them know up front that you only have X number of minutes to spend. Otherwise, you will be charging a consultation fee. Come up with a consultation fee. Karbon suggests value pricing. Start with lists of specific services you can offer then add pricing for each of these. Pause for a moment and think of all your clients who would give you the much-needed information the last minute. What about the clients who expect so much from you yet pay you so little? How about those who won’t take your advice then blame you when all hell broke loose? And, our personal favorite, the client whose payment is almost always late. How does it feel whenever you deal with them? Is satisfying them really worth your time and effort? Evaluate the effort you spend on them and balance it against the benefits you get. Are you still willing to keep this client? If yes, proceed to our next point. Otherwise, cut your ties. Think of other ways to treat them. You may communicate with them (over and over again) what it is that you and those that you don’t, follow up on them regularly to lessen your stress come deadlines, or be a “jerk” to them. It doesn’t mean you’re going to hang up on them when you’re speaking, but you can charge them double, put them least in your priorities, or at least don’t drop everything for them. But then again, you can’t always help everyone. And you’ll always compromise your other tasks if you keep on saying yes to every request. Is this beneficial for my practice? Will this add value to my practice? Can this task be delegated? If the answer is no to at least two of these questions, then take a step back and politely say no. Delegate if possible or recommend someone else who can accommodate such requests. Again, we have a lot of tasks at hand. We have all types of lists we need to accomplish for the day. When you keep on checking and responding to messages from time to time, guess what happens? That’s right. You get distracted, and before you know it your train of thought is gone. Remember the old prank of saying a random number out loud when someone is counting silently? The same principle applies when you often stop and entertain messages. So to minimize distractions, set a specific time in a day when you’ll be checking and responding to messages. Stick to this schedule unless, of course, there’s an emergency. Accepting phone calls must also be scheduled. If you have a team, let them know the only times you are free to talk on the phone. There are people who believe in keeping the secret ingredient a secret. But what’s scary about that is it will hold your practice back. What would happen if you were not around? How would you go on vacation? Are you planning on taking calls while you’re away? One good way to avoid saying yes to every request or taking each phone call is to find at least one person you can share knowledge with. So when someone asks for help the next time, you can rely on another person on your team who can fill in for you. Document your processes so it can be replicated and followed to a T.
If you’re heading for Mindanao, but the sign on the bus you got says “Ilocos Norte,” we don’t think you can get to your destination no matter what you do. The tools and techniques you’re using may be what catapulted your firm in the beginning, but that doesn’t mean you should stick to it for the rest of your business days. List down your tools and methods and weigh its pros and cons. Get rid of ones that do not make your life easier. Look for customizable tools if necessary. Being an accountant is one of the most sought-after professions. But if your methods are wrong, you’re slowly killing your practice without your knowledge. It’s nice to have a lot of clients come to you, but if they’re hurting your practice significantly, you have to change your process. 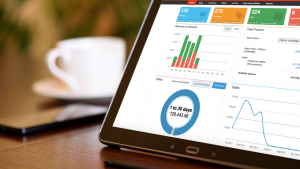 Oojeema is the FIRST online accounting software designed specifically for Philippine businesses.